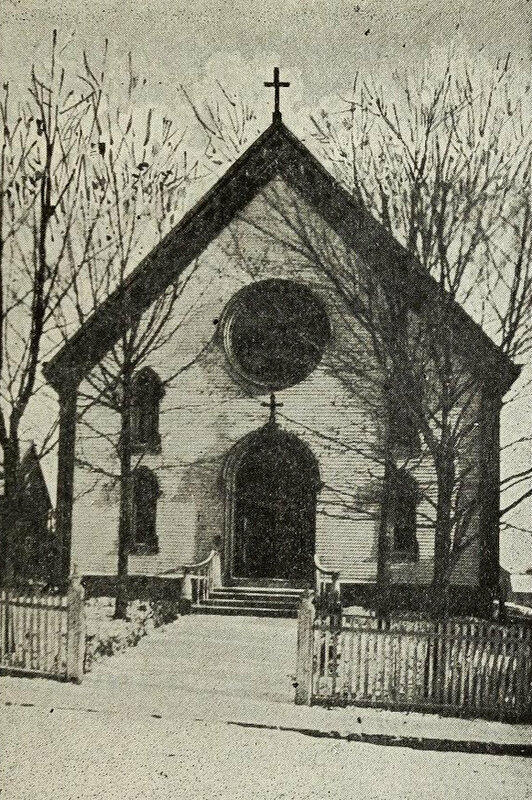 The Holy Name Catholic Church in Machias, around 1904. Image from Narrative of the Town of Machias (1904). 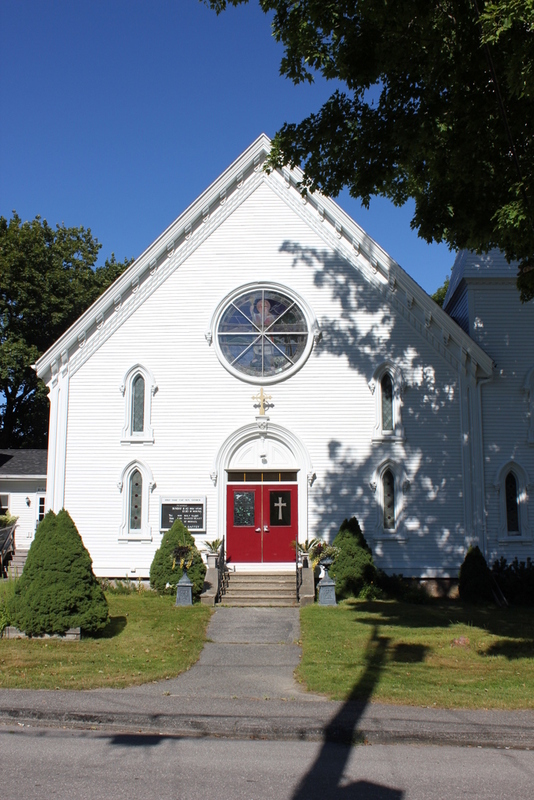 Machias was first settled by English colonists in the 1700s, and although they established a Protestant church relatively quickly, it took some time before there were enough Catholics to sustain a church here. Traveling priests would often visit Machias in the early 1800s, but it wasn’t until 1845 that the town had its own Catholic church. The original church burned down in 1875, but it was soon rebuilt and is still standing today. Compared to the town’s Congregational church, this one is relatively simple on the exterior. It wasn’t originally built with a steeple, but one was later added to the right, as seen in the 2015 photo. Otherwise, it looks essentially the same as it did when the first photo was taken over 100 years ago.